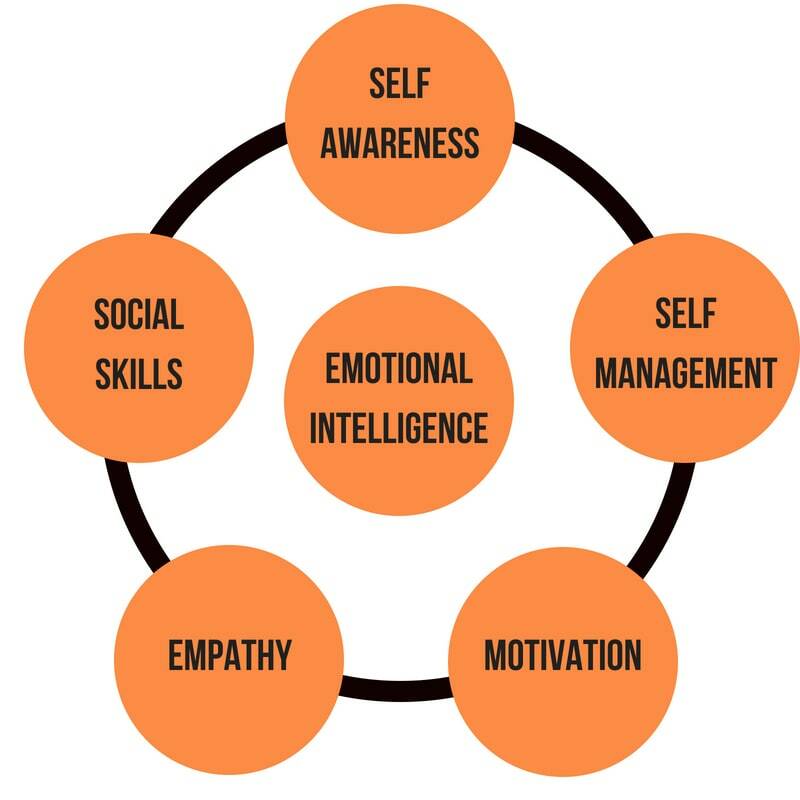 Emotional Intelligence (EI or EQ) has become a buzzword in recent years. But what exactly is it? It is often defined as the ability to perceive, control, and evaluate your emotions. EQ plays an important role in your life because it helps you understand your emotions and build healthy relationships with the people around you – whether at work, with your family or in the community. Having high emotional intelligence can lead to strong empathy and success in any relationship (personal or professional). Often, leaders of schools, churches or even businesses have high EQ. Unlike IQ which doesn’t necessarily change over time, you can enhance and strengthen your EQ if you have the desire to learn and grow it. Empathy: Capable of putting yourself in someone else’s shoes and being able to assess someone’s emotions and reactions. Social Skills: Ability to pick up jokes, sarcasm, customer service. Understanding how to build and maintain friendships/relationships. 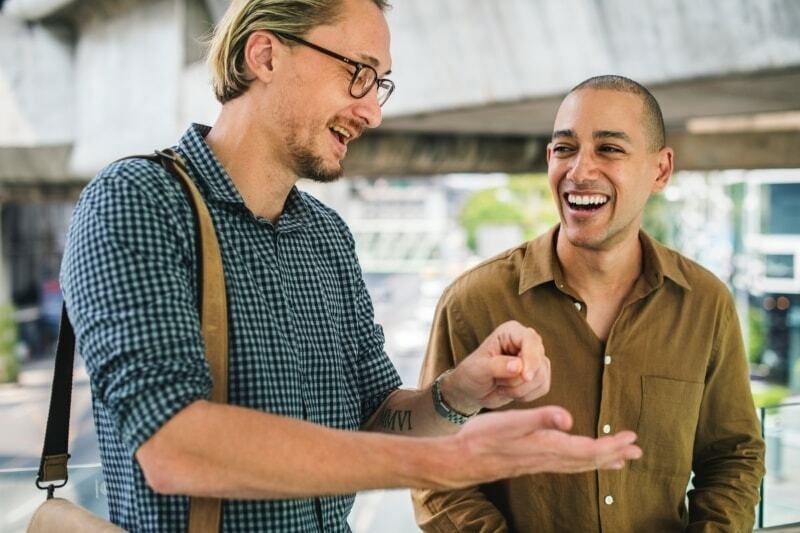 Here are 5 ways to develop, enhance and grow your emotional intelligence so you may continue to build and maintain healthy relationships for the future. Try taking a moment to see how you react to the world around you. If someone is upsetting you, what do you say or do? If someone makes a joke, how do you respond? Are you able to manage your emotions or do they take over you? Do your emotions impact your day and how you communicate with those around you and your overall well-being? How often does your mood change? It’s important to ask these questions and answer them so you have an understanding of what your overall emotional state is. This is possibly the most challenging step, but it’s also the most helpful. Your behaviour, reactions and emotions come from you and you alone. No one can make you feel a certain way unless you permit it. You are responsible for how you respond, react and behave. When you take responsibility for how you feel and behave, your perspective changes and it can make a positive impact on all areas of your life. Discover what makes you annoyed, angry or sad. If you know your stress points, you’re more likely to respond well when the time comes that you feel frustrated. Take control and limit what gives you stress or anger. For example, if you know that checking your work email before going to bed will make you anxious or worried, leave it and check it when you arrive at the office the next morning. Challenges, failures and plot-twists are all a part of life. How you react and bounce back from those challenges are what will determine your emotional intelligence. Observe how you feel and respond to certain challenges – do you complain more than you should? Try positive thinking to counteract such negative thoughts. Emotional intelligence is about understanding your emotions and learning to be agile during intense situations. There is a difference between sympathy and empathy. Sympathy is feeling compassion or sorrow for another person’s hardships/circumstance. While empathy is the ability to put yourself in the shoes of another person and act on it. Empathy is much deeper than sympathy and that’s why it’s a main component for emotional intelligence. When you’re able to listen, visualise and understand what a person is going through, you may be able to have a better interaction with them. Go forth and create healthy relationships with the people around you. You have the capabilities to learn, to adapt and to apply emotional intelligence to areas of your life. If you want to increase your emotional intelligence, start becoming more aware of yourself and how you react in certain situations. Don’t be afraid of human connection, allow yourself to empathise and understand other people. Take note and just keep learning.